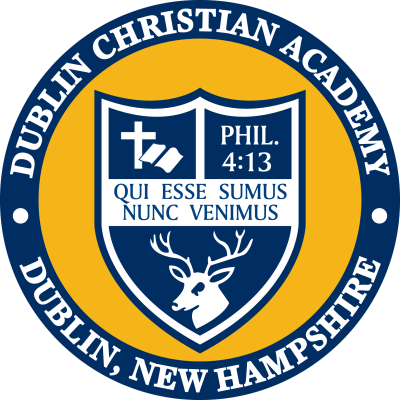 The success of Dublin Christian Academy is seen every day in the students in our classrooms, on the playground and soccer field, at Chapel, in their joyful smiles, and in their academic achievements. For over fifty years, that success has been attained through the generosity of many individuals like yourself who have faithfully committed to supporting us. If you are a first-time web visitor, we extend a warm welcome and are grateful for your interest in DCA. Your gifts to the DCA Annual Fund help ensure that the necessary resources are available as we seek to ânurture, train, and growâ young people for the glory of God. The Board of Directors, administration, faculty, staff, and students deeply appreciate the many ways in which our donors contribute to the daily life and bright future of our school. The outstanding reputation that constitutes DCA would not be possible without the loyal support of our alumni, school parents, grandparents, church friends, and local businesses. Thank you!! Your donation will be directed to the most current need at DCA. Your donation will help students who may not otherwise be able to attend DCA. Your donation will be used toward the expansive fine arts program at DCA. Your donation will be used toward the Athletic Fund at DCA to keep our teams and facilities looking their best! Your donation will be used to improve services and enhance the DCA experience for students. Your donation will be used to help DCA keep up with technological advances needed for a quality education. All proceeds will go to benefit the athletic programs at Dublin Christian Academy. Register to be a biker, virtual biker, or sponsor to support DCA. The ride will take place on Saturday, August 18, 2018 at 8 am. Annual membership is determined by total giving in the fiscal year, which runs from July 1 to June 30. Use this ​​form to give to DCA "In Memory" or of a loved one, or "In Tribute" to celebrate a birthday, anniversary, or other special occasion. You will be directed to PayPal where you may use a credit card or your bank account to securely complete your gift. You are not required to have a PayPal account to use this feature.